If you want that the folder / folders are automatically expanded under Windows 10 in the navigation pane of the Explorer, change the folder options of the navigation area! See also: ... disable and enable Auto-Expand of Folders in Q-Dir. 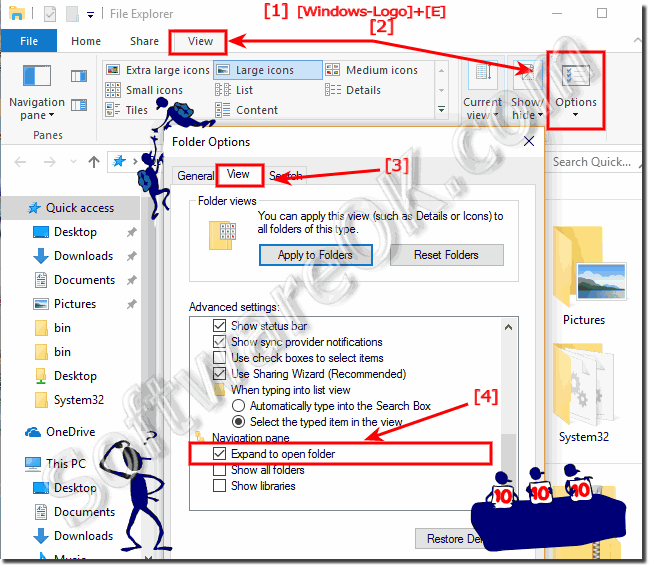 (Image-3) Expand the folders in Windows 10 MS-Explorer! (Image-2) Windows-10 Auto expand folders in MS-Explorer! 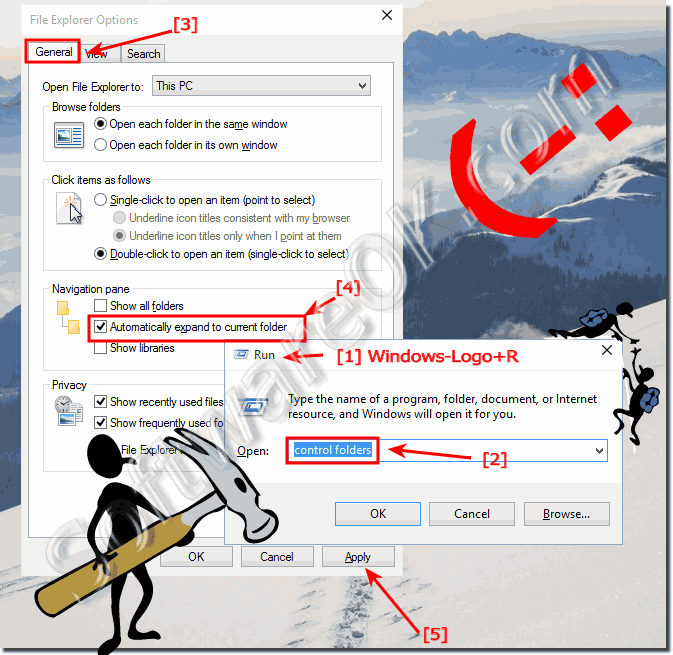 Windows-10 - FAQ-65: Auto expand the folders in Windows 10 MS-Explorer, how to?